Great candy display for all types treats! 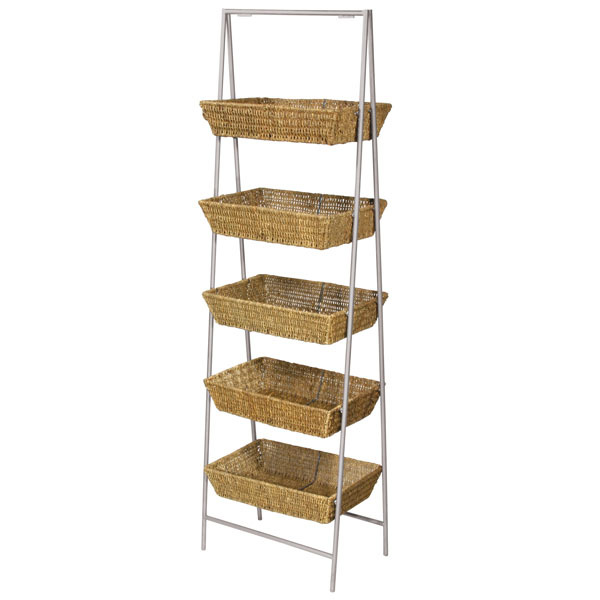 This 5-tier Wicker Basket display brings elegance and sophistication to your store. This candy display has 5 natural wicker baskets that are 18 in. W x 12 in.D x 4 in. H and are removable for easy restocking. Baskets set on a silver metal frame. Some assembly required. For even more pieces, we encourage you to take some time to look through our full assortment of candy displays at Specialty Store Services today.